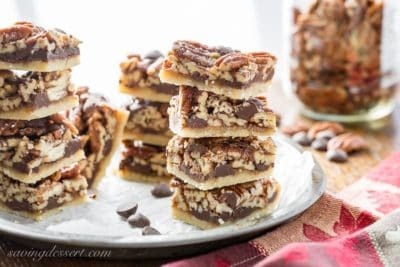 Chocolate Pecan Pie Bars with Bourbon & Sea Salt ~ a delicious and super nutty take on one of our favorite holiday pies! More toasty nuts and less filling than the pecan pies we all love, these bars are much easier to make too. Whether it’s office luncheons, family gatherings, holiday meals or a home baked gift for your favorite neighbors, these nutty pie bars are sure to please even a hungry crowd. The bars travel well and keep at room temperature for up to 5 days so they’re perfect for holiday road trips to see grandma. Our daughter hosted Thanksgiving at her house this year and I brought this batch of Chocolate Pecan Pie Bars to share. They disappeared quickly and were given a big-fat thumbs up by all who saved room for dessert! Can you believe I didn’t make an actual PIE for Thanksgiving this year? No worries, the year’s not over and we still have Christmas baking yet to come! Which syrup should I use: corn syrup, honey, maple syrup, brown rice syrup or golden syrup? Trying to decide what kind of syrup to use in baking can be confusing to say the least. Corn syrup is often frowned upon in baking these days. 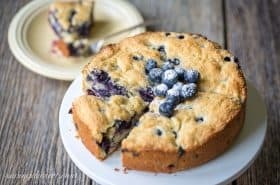 My favorite brand, Karo, does not contain high-fructose corn syrup (HFCS), which is a type of artificial sweetener, but I believe the issue some bakers have with corn syrup is that it’s made from corn instead of pure cane sugar. Corn syrup is a good sweetener but whenever possible, why not use a syrup made from pure cane sugar, or even make your own? To make 1 cup of syrup combine 1 1/4 cups granulated sugar with 1/4 cup boiling water and stir until dissolved. Honey is always a good choice for a natural sweetener, but it can have a stronger flavor than light corn syrup, which has none. Maple syrup is a wonderful one-to-one alternative, but your baked goods will have a subtle maple flavor. 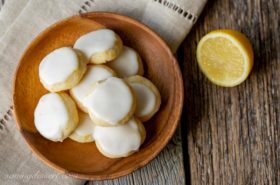 For this recipe I chose to use Lyle’s Golden Syrup which is an inverted sugar syrup, made from concentrated sugar cane juice. If you have corn allergies, or choose not to use corn syrup, you might try golden syrup. I still like to use corn syrup when making candy (like this English Toffee) as it prevents crystallization which can ruin a recipe. 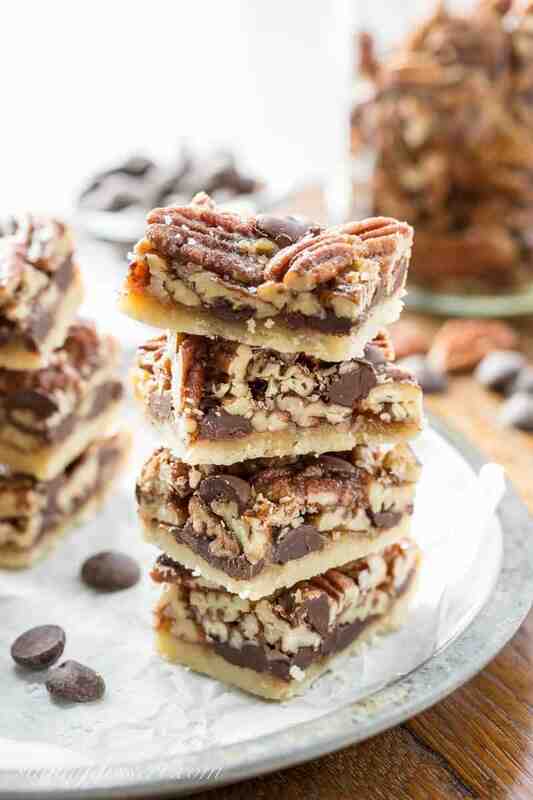 These super nutty Chocolate Pecan Pie Bars have more than 4 cups of toasted pecans loaded on top of a buttery shortbread crust. The bittersweet chocolate chips and smooth bourbon help create this perfect flavor combination. I mean, c’mon, bourbon and chocolate, what’s not to love? And, the tiny sprinkle of sea salt adds the finishing touch that satisfies our love of the ever popular sweet and salty combo! Adjust the oven rack to the lowest position. Preheat oven to 350 degrees. Line a 13x9-inch baking pan with 2 pieces of parchment paper big enough to cover the bottom and sides of the pan. The two pieces of parchment should be perpendicular to each other creating a sling with the extra hanging over the edges. Lightly spray the parchment with vegetable cooking spray. Set aside. In a medium mixing bowl, whisk together the flour, sugar and salt. Add the melted butter and stir with a rubber spatula until a dough forms and no dry flour remains. The dough should hold together when pinched or squeezed. Distribute the crust dough evenly over the bottom of the prepared baking pan. Gently press and smooth the dough evenly using your fingers and palms. Scatter 1 cup of the chocolate chips evenly over the dough. Set aside. To toast the pecans, spread the nuts in a single layer on a large rimmed baking sheet lined. Bake in a preheated 350 degree oven until slightly darkened, about 8 to 12 minutes. Stir the pecans halfway through to prevent burning. Set aside. 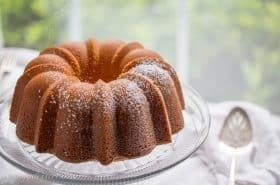 In a large mixing bowl, whisk together the brown sugar, syrup, melted butter, vanilla, salt and bourbon until smooth. Add the toasted pecans and fold together using a spatula until all nuts are evenly coated. Spoon the topping over the crust and chocolate chips. Gently spread the topping into the corners of the pan but don’t worry if there are bare patches. The topping will spread a little as it bakes. Bake for 25 to 30 minutes or until the topping is bubbling across the entire surface. Remove from the oven and top with the remaining chocolate chips. Cool completely in the pan, then sprinkle with the sea salt, if using. Using the parchment overhang, remove the bars from the pan and transfer to a cutting board. Cut into 24 bars. NOTES: Lyle’s Golden Syrup is made from sugar cane juice and is readily available in most grocery stores. 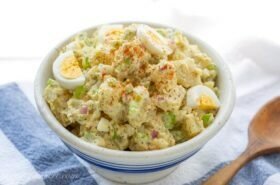 You can also substitute Corn Syrup (like Karo), maple syrup or honey in this recipe. Maple Syrup and honey will have a stronger taste than the Lyle’s Golden Syrup. Don’t skip toasting the pecans - the deep nutty flavor makes all the difference in these bars. Be sure to use pecan halves, not pieces. Bars can be stored at room temperature for up to 5 days. Pecans are a great nut to feature this time of year. 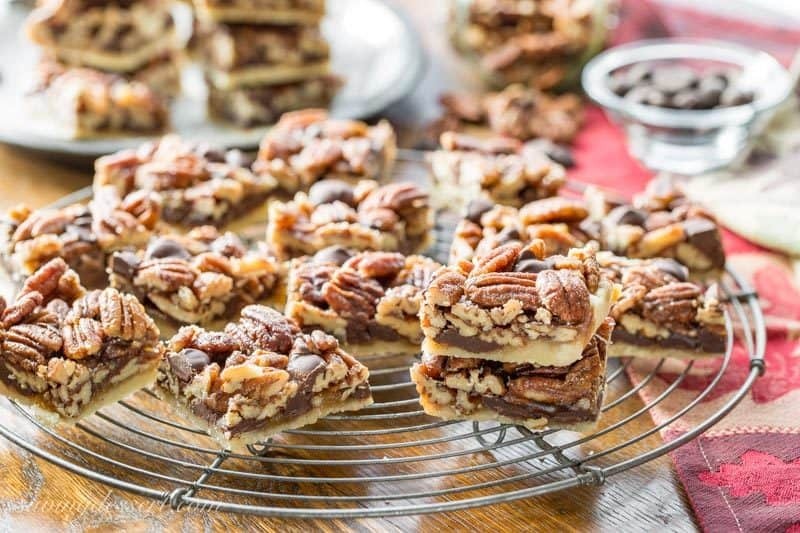 If you’re looking for wonderful ways to include them in your holiday baking, you may like our traditional Chocolate Pecan Pie and these super easy slice and bake Pecan Sandies. 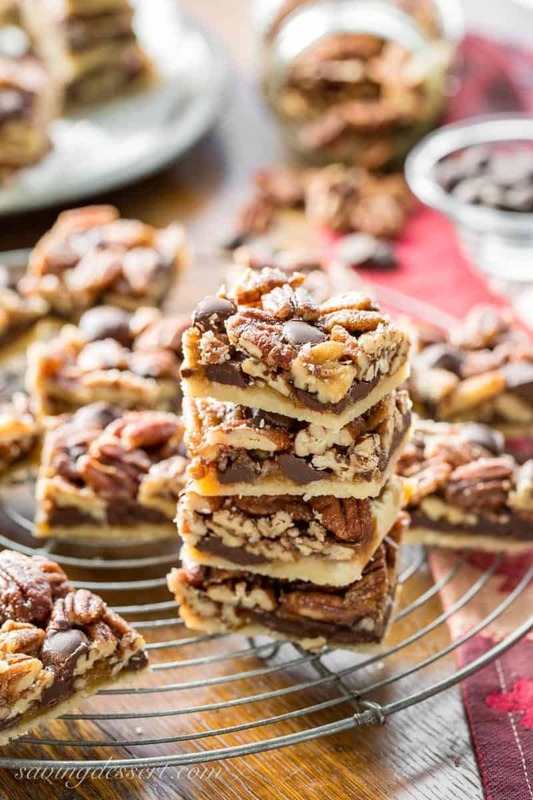 Don’t miss this beautiful 5 Minute 5 Ingredient Chocolate Pecan Fudge from Barefeet in the Kitchen, and these gorgeous Pecan Pie Cookies from Spend With Pennies. I love this recipe for Stovetop Candied Pecans from Fifteen Spatulas. The pecans would be great on salads, gifting or just for snacking! And finally, this dreamy Black Bottom Bourbon Pecan Pie from The View from Great Island makes me swoon! These look outstanding! I was wondering if you don’t bake the shortbread crust before you load it with the toppings? Thanks and look forward to making them! Hi Anne – no you don’t bake the shortbread crust before putting on the toppings. The topping is very nutty and not as ‘wet’ as a pecan pie, for example. No need to pre-bake! Enjoy – these are delightful. Oh my, these bars look so good. Hopefully I get a chance to make them when I am returning from Germany. Pinned! I hope you do too Gerlinde – they’re so easy to make too. Hope you’re having a fabulous trip! Hi Tricia, first saw these on instagram and fell in love with all the nuts and chocolate and gosh everything about them. I can see why no one missed pie if these were around. Happy holidays! Bringing these to the work holiday pot-luck. 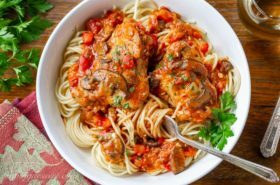 Thanks for the recipe – just in time! Yeah! Thanks Bri – let us know how they turn out for you 🙂 Please and thanks! Pecans and bourbon play so well together. Add chocolate and salt, and we have most of the major food groups covered. 🙂 This looks really good — thanks. What’s not to love about these bars? With chocolate, bourbon and sea salt I wouldn’t miss the pie! Wow. Only a sin can look this tempting. Haha Amalia – these are delicious but I didn’t feel that bad eating them – haha. Thanks Albert! I love mashing up recipes – and you’re right about this crust. Thank you! My kind of sweet treats too, Tricia. Nuts and chocolate are absolutely wonderful together. We agree Angie and thank you! Hope you had a wonderful Thanksgiving! Loving these delicious bars 🙂 Just the kind of sweet I love.